WASHINGTON — Canada got a painful lesson in American politics Friday as one of its major economic priorities was neglected on the messy floor of the legislative sausage-factory that is the U.S. Congress. Feb. 7, 2014 11:13 p.m.
Hopes that a long-awaited farm bill might address a multibillion-dollar hit to Canadian livestock producers were officially extinguished, as President Barack Obama attended a ceremony in Michigan where he signed it into law. “That’s the way you should expect Washington to work,” Obama said, crediting both parties for putting aside their rancour to deliver a sweeping bill. In fact, the bill’s bumpy journey to the presidential pen is a classic case study in U.S. lawmaking — that boisterous, unpredictable feast of movable alliances so strikingly different from the routine bill-churning seen in Canada’s leader-controlled party system. In the scramble toward a farm bill, Canadian hopes were buried by a few hostile senators, some pressure on key Democrats, and the anxieties of a Republican leadership eager to tally up some legislative accomplishments in a congressional election year. Oh, and also, there was yawning indifference. Among the reasons Canadian farmers lost out is not enough lawmakers cared about the cumbersome country-of-origin labelling requirement for meat (COOL) to turn it into a make-or-break negotiating point that threatened to undo a 959-page bill. It’s nothing personal, one of Canada’s allies explains. 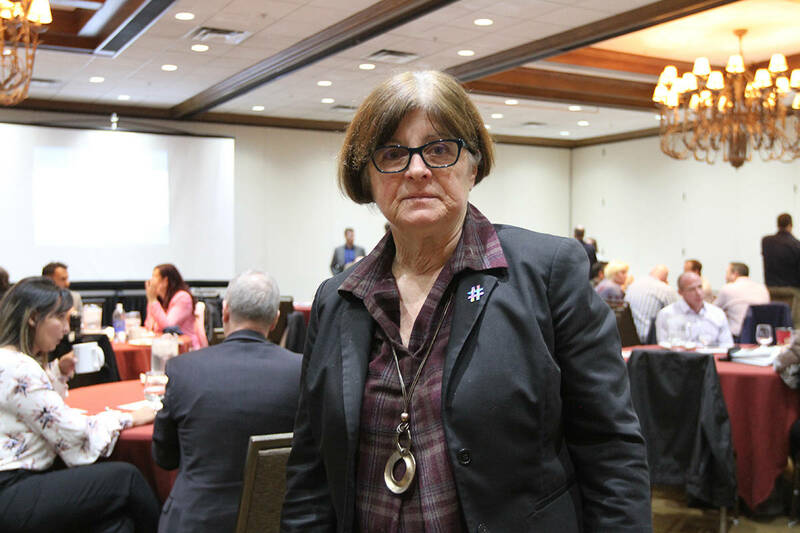 “To be honest with you — U.S. lawmakers don’t care what Canada thinks in this process,” said Colin Woodall, who’d pushed for changes to COOL as the vice-president for government affairs of the National Cattlemen’s Beef Association. While American lawmakers were drafting the farm bill, Canadian Agriculture Minister Gerry Ritz expressed hope it might end labelling requirements for beef, pork and poultry — a complex process blamed for reducing meat exports to the U.S. by half since 2008. The subsequent disappointment has Canada and Mexico now looking to retaliatory tariffs on a range of U.S. goods, with the next step in the process a scheduled hearing on Feb. 18 at the World Trade Organization. So, what happened in the meantime? For starters, seemingly all of Washington wanted a farm bill quickly. Obama had declared it one of his top priorities. And, with congressional mid-term elections looming a few months away, Republicans also saw it as a chance to dispel their reputation as obstructionists in an unproductive Congress. The Canadian government, meanwhile, saw the bill as a chance to undo onerous requirements that had been introduced in 2002 and toughened in 2008. The issue was never going to be the centrepiece of any legislation — just a late-stage tack-on. At its core, a U.S. farm bill is a contract between rural and urban lawmakers. It offers financial help for farmers and food stamps for the poor, bringing together a broad voting block to win congressional support. In this particular fight, the main battle was over food stamps. The Republican-controlled House of Representatives sought deep cuts; Democrats, who control the Senate, didn’t want any cuts at all. They wound up settling on modest cuts to food stamps, clearing the biggest hurdle to a deal. A small negotiating committee was created, comprising both parties in both house of Congress. But the talks were nearly derailed in early January by a disagreement over a price-stabilization program for dairy farmers. That delay proved fatal to Canadian aspirations, says John Masswohl of the Canadian Cattlemen’s Association. He said supporters of mandatory labelling heard it might be sacrificed in the talks, and they used the delay to organize. He said one of the key pressure groups was the more protectionist National Farmers’ Union. Montana senators also pushed the pro-labelling cause — including Max Baucus, the powerful Democrat who runs the finance committee and will be the next U.S. ambassador to China. In the end, the top Democrat in the negotiations made the key call. Michigan’s Debbie Stabenow declared the Senate wouldn’t likely pass any bill that included COOL, so it would have to be dropped. The Republicans, meanwhile, weren’t willing to sacrifice that entire omnibus bill, one that had been years in the making, to pursue some meat-labelling detail. So they went ahead without it, and the bill easily passed both chambers. At Friday’s signing ceremony, held in Stabenow’s home state, Obama lauded her and other legislators. He said they’d delivered a bill that he likened to a multi-tasking “Swiss-army knife” — for all the good things it will do, in both rural and urban communities. Masswohl was disappointed by the turn of events, but not overly surprised. Having spent a few years at the Canadian embassy in D.C., he’s well aware of the topsy-turvy trajectory of U.S. legislation. As for COOL supporters, their motives are diverse — ranging from principled stands, to fear of political pressure in their district, to passive indifference. Dave Warner doesn’t hide his frustration. The spokesman for the American National Pork Producers Council says the current rules mean pigs born in Canada, but fattened in the U.S., need to be stored separately. Later, for the trip to the slaughterhouse, a farmer might need to send dozens of truckloads within a tiny, 10-hour window each week — so that the pigs are slaughtered separately and stamped with a “Canadian” label. He says the production line gets shut down for the transfer, costing everyone — the slaughterhouse, the American hog producer, and the Canadian farmer. He said U.S. cattle-farmers mostly oppose COOL, as does every organized group of pork producers he can think of. And he has harsh words for the supporters of mandatory labelling. He says they had better prepare to face the wrath of consumers, if the U.S. loses again at the WTO and finds itself slapped with tariffs from Canada and Mexico on goods like meat, furniture, maple syrup and orange juice. “If and when that retaliation comes, we will call out the people who are responsible for this,” Warner says. There’s one particular lesson from the debate that might surprise Canadians. It has to do with the temporary nature of political alliances in the U.S. Some of the biggest and loudest supporters of the Canadian government in the Keystone pipeline debate, for instance, are its biggest opponents on meat-labelling. That includes the two Democratic senators from Montana — staunch friends on Keystone XL, and foes on meat labels. As Woodall said, it’s nothing personal. There’s a more famous adage about U.S. politics, attributed often but probably incorrectly to Harry Truman: “If you want a friend in Washington, get a dog.” Canada, it turns out, didn’t have enough paws in this one fight.